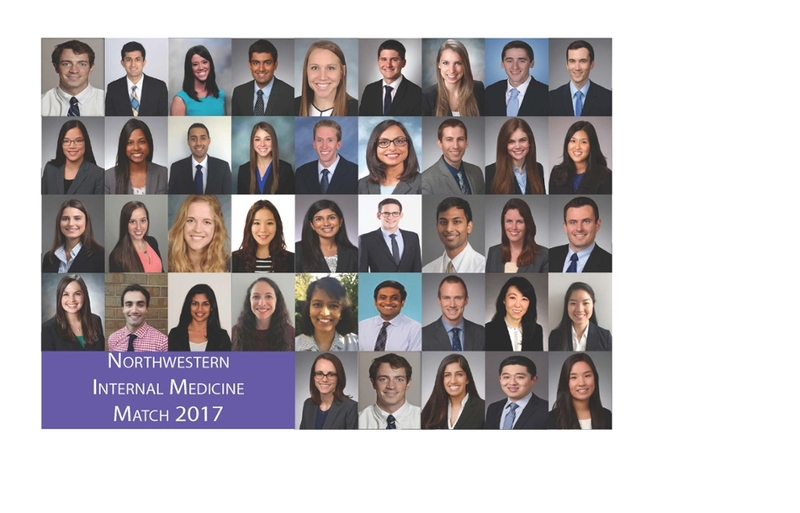 We are thrilled to announce our Match 2017 results and welcome the Internal Medicine Residency Class of 2020! View the 2017 Match Slideshow and learn more about the class of 2020. Douglas Vaughan, Aarati Didwania, Dave Neely, Warren Wallace, and the 2016-2017 CMRs: Gregory Cascino, Alex Lemmer, Meredith Sellers, and William Werbel. DOM Team Education: Kim Dow, Sara Kiely, Socorro Esparza, Anna-Kate Trubilowicz, Rana Khalifeh and Judy Poremba.